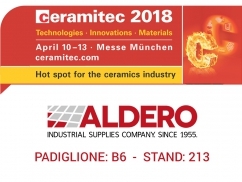 From 10 to 13 of April 2018 ALDERO industrial supplies will be at PAVILION B6 - STAND 213. 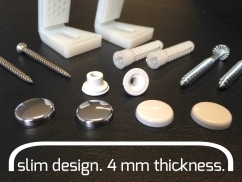 Update for KARAL horizontal fixing kits for toilets and bidets (item 4110, 4111, etc.) thanks to the new slim caps with improved design. 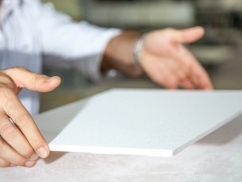 No longer engobe application by brush or dipping on shrinkage plates: ALDEROTECH presents new range of bisCotta with engobe applied!